Soldiers Kidnap Five Palestinians In Nablus | It's Only Natural To Resist. IMEMC – Israeli soldiers invaded, on Monday at dawn, different parts of the of the northern West Bank district of Nablus, broke into and searched several homes, and kidnapped five Palestinians including a school headmaster, and a Palestinian security officer. The Maan News Agency reported that the army invaded Balata refugee camp, east of Nablus, and kidnapped Farid Al-Masmy, 47, the headmaster of the Balata School for Boys, and Jamil Mahameed, 33, a Palestinian security officer. Soldiers also invaded the Al-Makhfiyya area, west of Nablus, kidnapped a resident identified as Mahdi Ash-Shafe’ey, and confiscated his personal computer. Furthermore, the army invaded Borqa village, west of Nablus, broke into several homes and kidnapped two residents identified as Saddam Ragheb Salah, 20, and Dia’ Abdul-Fattah Salah, 21. It is worth mentioning that the army invaded, on Monday at dawn, Beit Reema village, near the central West Bank city of Ramallah, and kidnapped four residents, including three brothers, and a resident who was shot by the army. The wounded resident remained unidentified while the kidnapped three brothers have been identified as Ibrahim, Firas and Mohammad Ar-Reemawy, the Maan News Agency reported. On Sunday evening, the army invaded Ya’bod village, near the northern West Bank city of Jenin, leading to clashes with local youths; the army fired dozens of gas bombs leading to four injuries. Soldiers also broke into a local coffee shop in the village, held and interrogated several residents. The latest attacks are part of ongoing Israeli military violations against the residents, their homes and property in different parts of the occupied Palestinian territory. 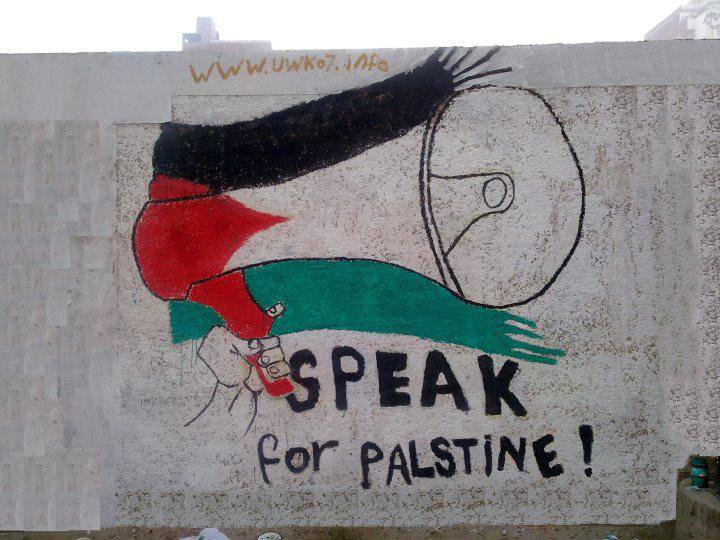 This entry was posted on December 17, 2012 by ispeak4palestine. It was filed under Articles on Palestine and was tagged with Israel, Nablus, Palestine, Soldiers, War, West Bank.